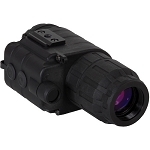 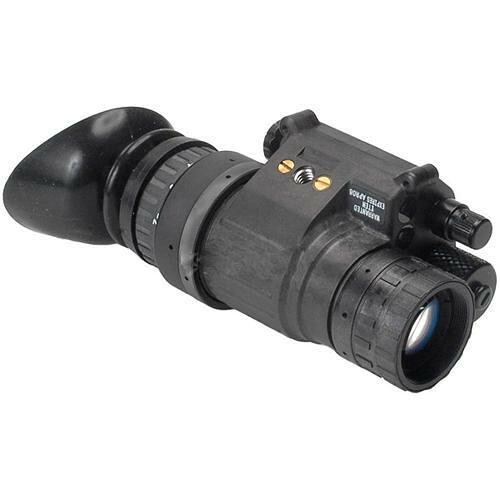 The AN/PVS-14 from Sightmark is a third generation night vision monocular that's similar in concept, design, and quality to the standard-issue military version of this NVD. 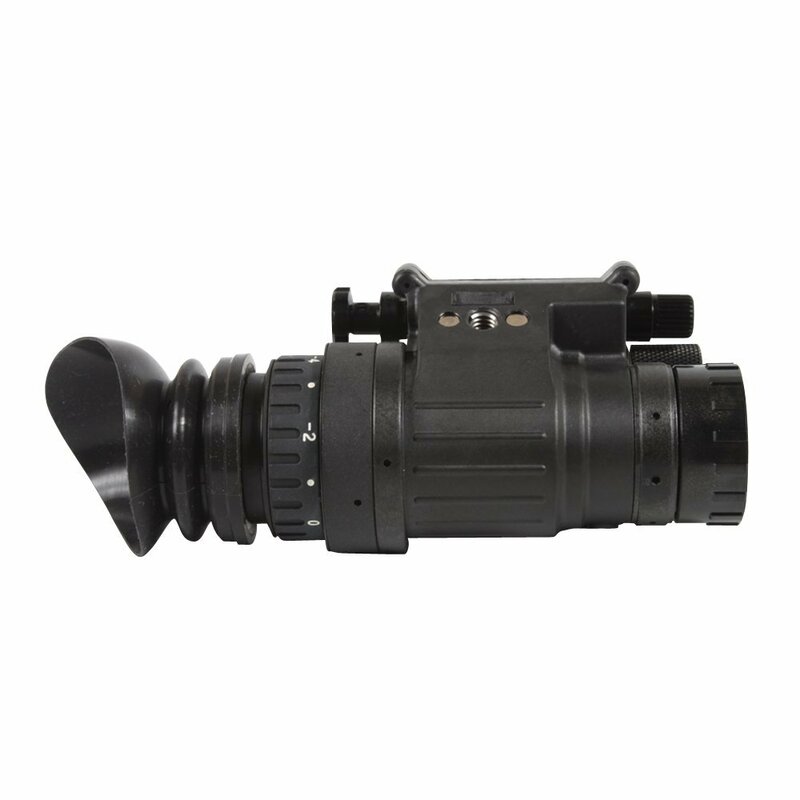 Fitted with a manual gain-control, the AN/PVS-14 is capable of providing high- quality images under difficult lighting conditions. 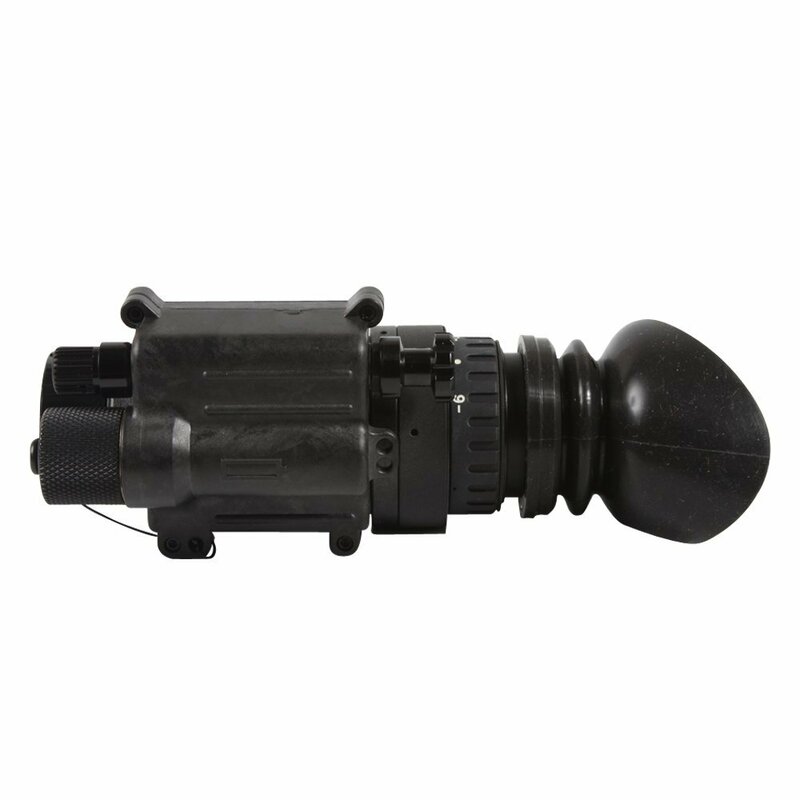 It's also an extremely versatile device - it can be operated hand-held, or head/helmet-mounted, and adapted for use with a camera/camcorder. 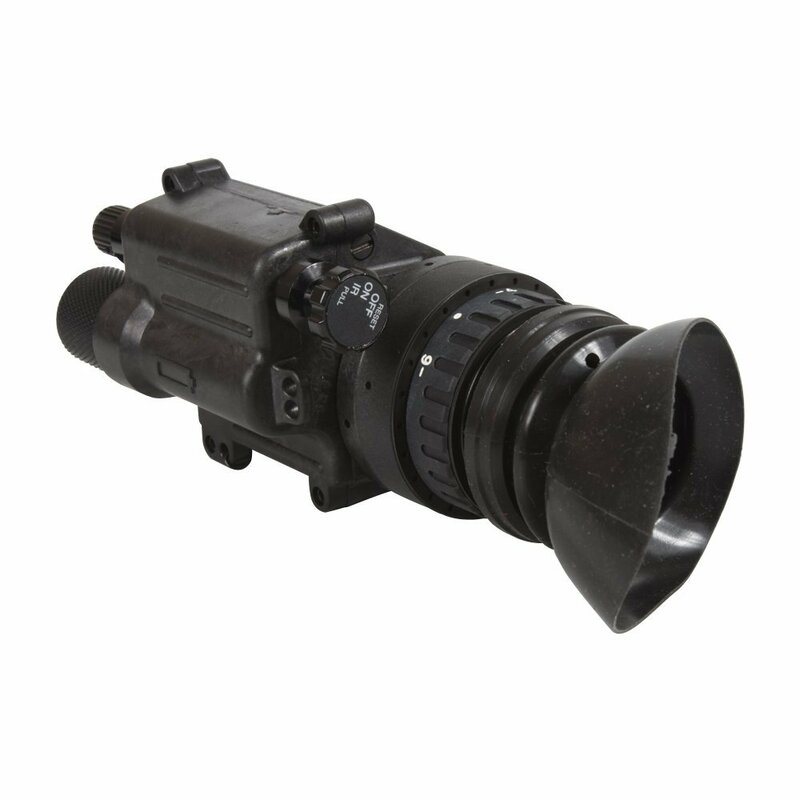 The heart of this PVS-14 is its premium select third generation intensifier. 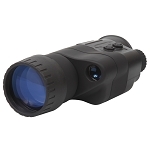 Third generation intensifiers feature longer life spans, higher resolution, and lower levels of bright light blooming. 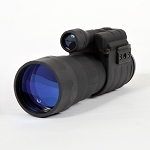 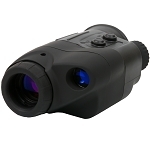 There are many variables that affect the distance that one can see with a night vision device; the object's size, ambient weather and lighting conditions, the level of detail needed for recognition, etc. 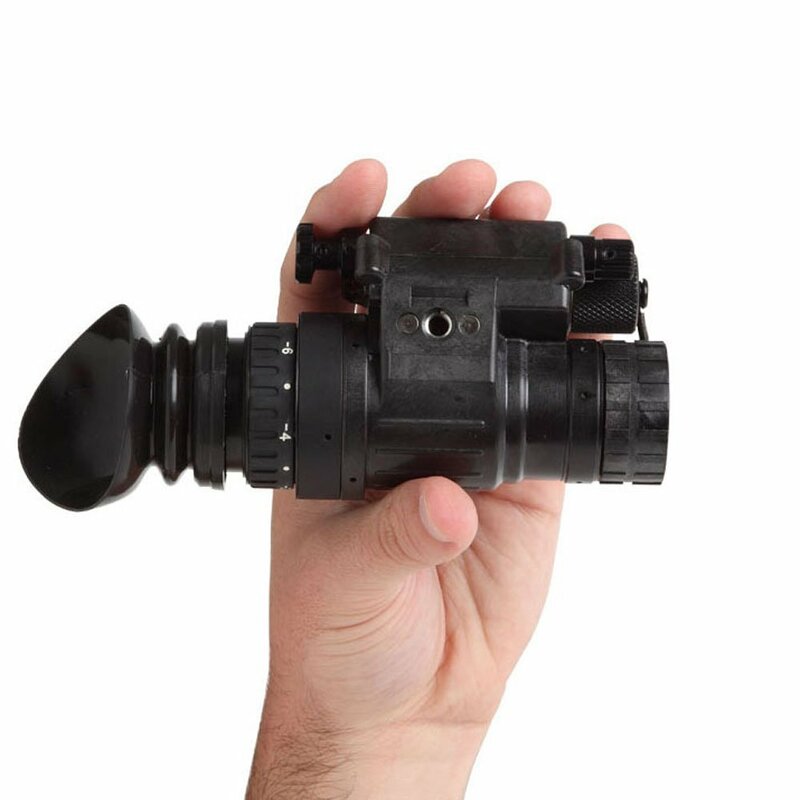 The important factors to consider when evaluating any night vision device are the generation of the intensifier tube along with its specified resolution and s/n ratio. 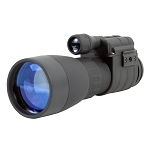 The magnification, clarity, and light transmission performance of the NVD's optics also contribute to its low/no-light performance capabilities. 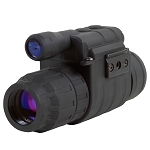 Note: Exposure to bright light compromises the longevity and performance of image intensifier tubes. 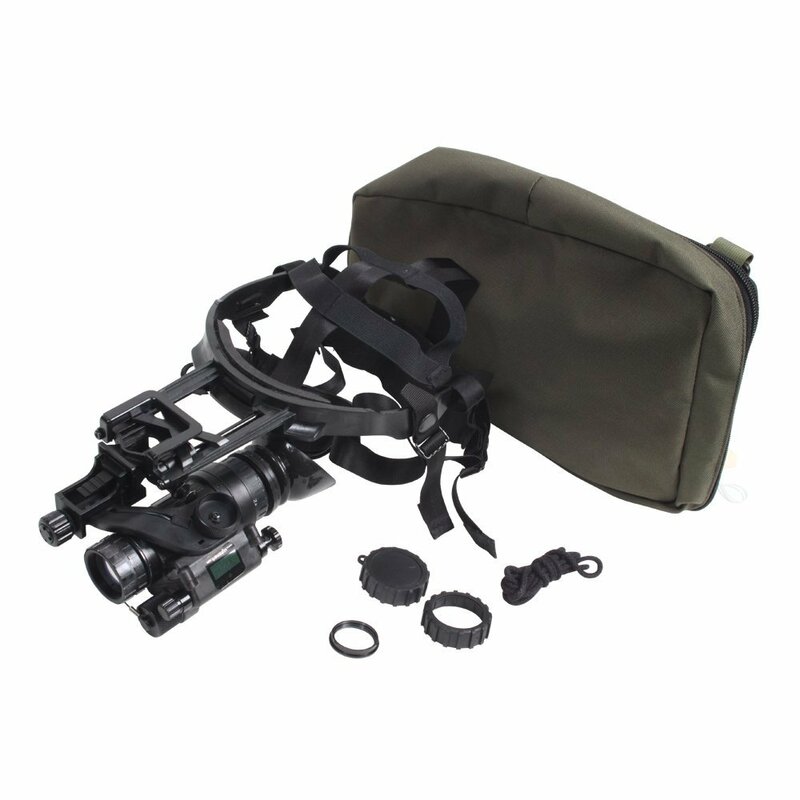 head mount assembly, brow pads, head mount adapter, eye cup, carrying case with shoulder strap, safety lanyard, lens cap, and lens paper.